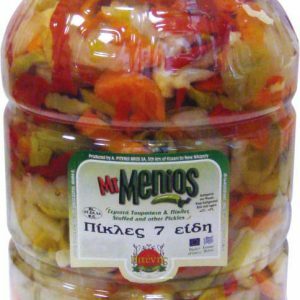 Salad known as "Politiki", consisting of fresh vegetables, like cabbage, carrot, green pepper, Florinis Pepper and leek, perfectly accompanied by a spicy chilli. Seafood salad with tuna, corn, peas and beans. Tuna salad combines tuna with Diamond mayonnaise, wine vinegar, fresh carrots and peas.